This Facebook video is beyond charming. 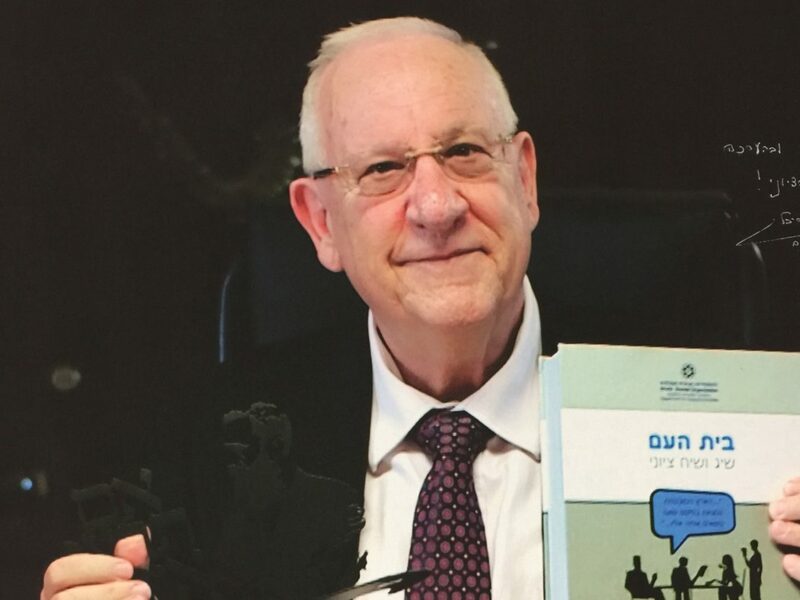 Ruvi Rivlin, the President of the State of Israel, decides to get the people of Israel singing in anticipation of the 70th anniversary of the founding of the State of Israel. His big heart and joyfulness abound. He explains that music brings everyone together. Ruvi and all that he picks up along the way in his offices sing together the famous song “Al Kol Eleh” (“Over all these things…”) made famous by Israeli poet/songwriter Naomi Shemer. In the middle of Beit Hanasi (the President’s House in Jerusalem) he stops and says: “Wait – this isn’t enough!” The entire people of Israel have to join and sing too, so he invites everyone to sing – the secular and religious, Arabs and Jews, young and old, men and women and children. He asks they everyone put all else aside and come together as one. and over what has already been reaped.